Islands of Nyne: Battle Royale has a surreal quality. It is, without a doubt, the most by-the-numbers game ever made. Everything in the Battle Royale title feels derivative of other games, but there's something — that certain je ne sais quoi — that hints at a compelling future if developers Define Human Studios can imbue the game with a little more personality. Islands of Nyne: Battle Royale is, as you might expect, a battle royale game. 100 people drop into an arena, try to loot a collection of guns, armour and ammunition, and then murder the other 99 people in a bid to be the last man standing. The genre is well established now, after Fortnite and PUBG took turns conquering the world while unlikely contenders The Darwin Project and Realm Royale have carved out a decent niche in the market. 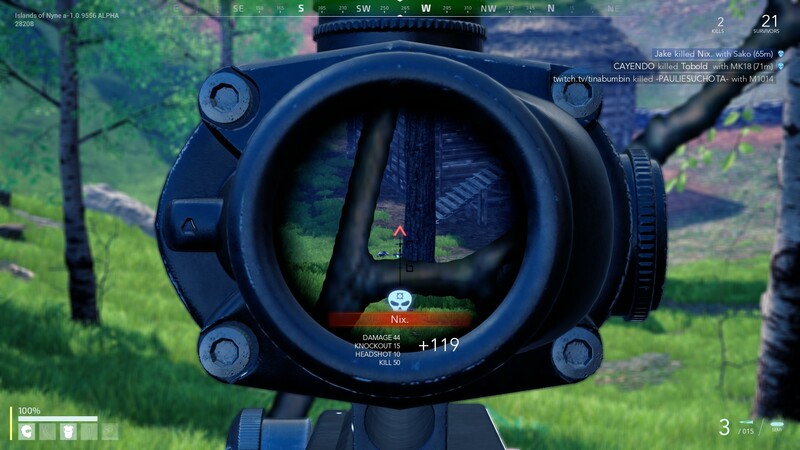 Islands of Nyne retreads the same space as the rest of this increasingly crowded genre, and the lack of personality, the fact that I could immediately drop into the game and start notching up kills due to the identikit mechanics, means it just doesn't stand out in a sea of beige battle royale pretenders. Where the developers have added some personality, the potential of the game shines through. There are a few stylistic touches: the way you fall from the plane at speed, without a parachute, and land superhero-style with your fist to the ground. 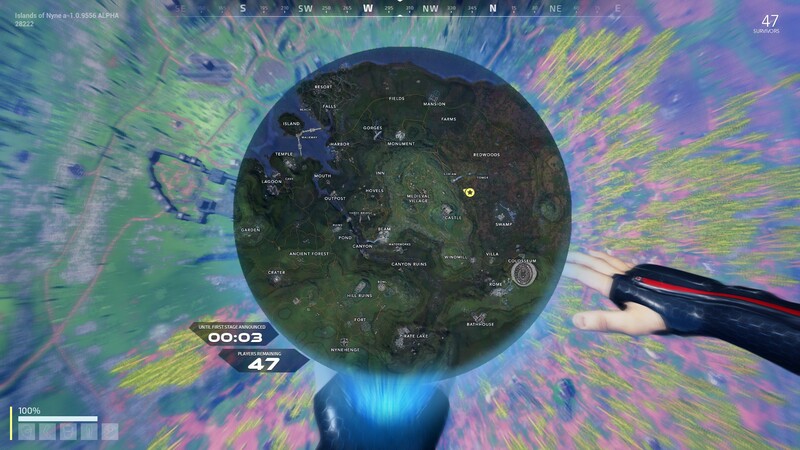 Similarly, the map in the game is a hologram projected from your hand. Try to open the seconds after you drop from the sky and you won't see anything as your hands flail in the sky. They're little touches, but they give a bit of character to a game that sorely needs it. Some of these have an in-game impact: the knife every character starts with is throwable and magically/technologically returns to your hand after you toss it, giving you some options if you're staring down the barrel of a gun and don't have your own just yet. In terms of the shooting, Islands of Nyne currently feels similar to the model employed by Counter-Strike Global Offensive or Planetside 2, and while I'm unsure it seems — at ranges of about 250m, at least — to have no bullet-drop, making gunfights much simpler to navigate than other titles, however it also means that success in the game comes down to your mechanical ability often. There's no leaning and no third-person camera, so making a bad peek will see you punished immediately. Essentially, you're playing a high-pressure shooter set across an entire island, which is compelling: or it would be if the weapons were a little more satisfying to use. Currently, all of the automatic weapons feel somewhat similar in play, and none of the weapons feel gratifying. Islands of Nyne, then, suffers because nothing about it is particularly innovative or interesting. One of the most exhilarating parts of the entire game is the lobby system, where players wait for the match to start. While waiting you can play a version of gungame, fighting through a futuristic space station filled with bulletproof glass, twisty corridors and a low-gravity area where jumping can give you a temporary advantage on an enemy before you get picked off by the others below as you fall slowly to the planet's surface. None of this is in the actual game. There's no low gravity, and you're stomping around woods and fields filled with huts. Apparently, aliens built the dome that battle takes place in. If aliens built this, they need to take a decent architect to their leader so they could make something a little more alien than a bunch of shacks standing in grass. Oh, also there are some trees. Thanks, aliens. 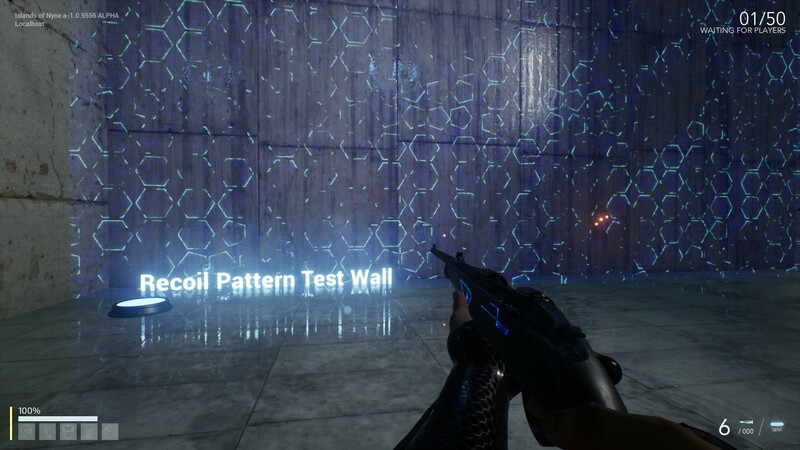 I'd love to see a map set on the moon, or even just incorporating some of the high-tech furniture or low-gravity features used for matches, because at the moment Islands of Nyne feels creatively bankrupt, and a deposit into the fund (of creativity) feels essential if people are going to buy into the long-term prospects of the game. There are elements of greatness here but writing even this preview has been a struggle. Lots of people will play this game and struggle to see a reason why they should care about this battle royale title, and for now, I can't answer that question. 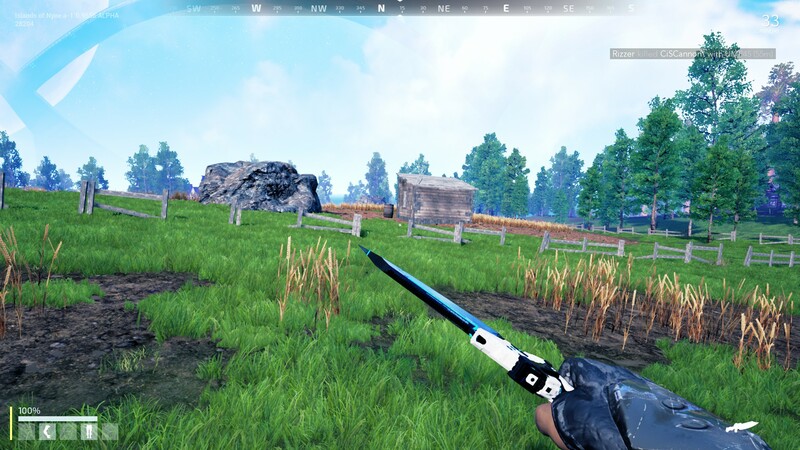 The developers of Islands of Nyne are going to have to find a reason for us to invest in the game, and soon before its potential audience get bored and goes elsewhere.